The House of the Relief of Telephus is one of the largest houses in the excavated area (about 1800 sqm). It possibly belonged to one of the town's leading benefactors, Marcus Nonius Balbus. The atrium has a central impluvium and puteal and is colonnaded on two sides. The decoration is in the third style with yellow panels with architectural motifs above a lower red frieze. 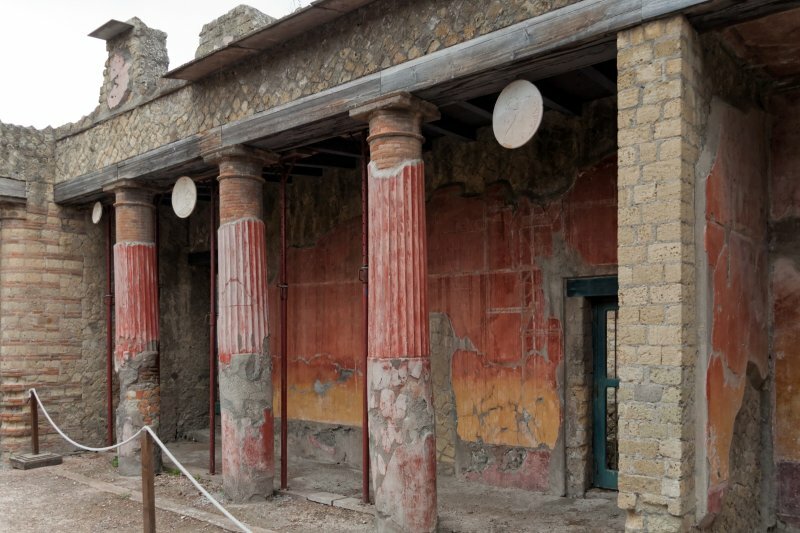 The columns are of brick, stuccoed, and painted red, the spaces between them decorated with oscilla - marble discs with reliefs on both sides.